I’m super excited, not only did we get a few inches of snow last night but I finally finished my first pair of socks. When I took up knitting this is the one project I really wanted to tackle. It took about 3 failed attempts before I finally made 2 socks. They match in all aspects, except the self patterning yarn striping at different points and a slight difference in height. 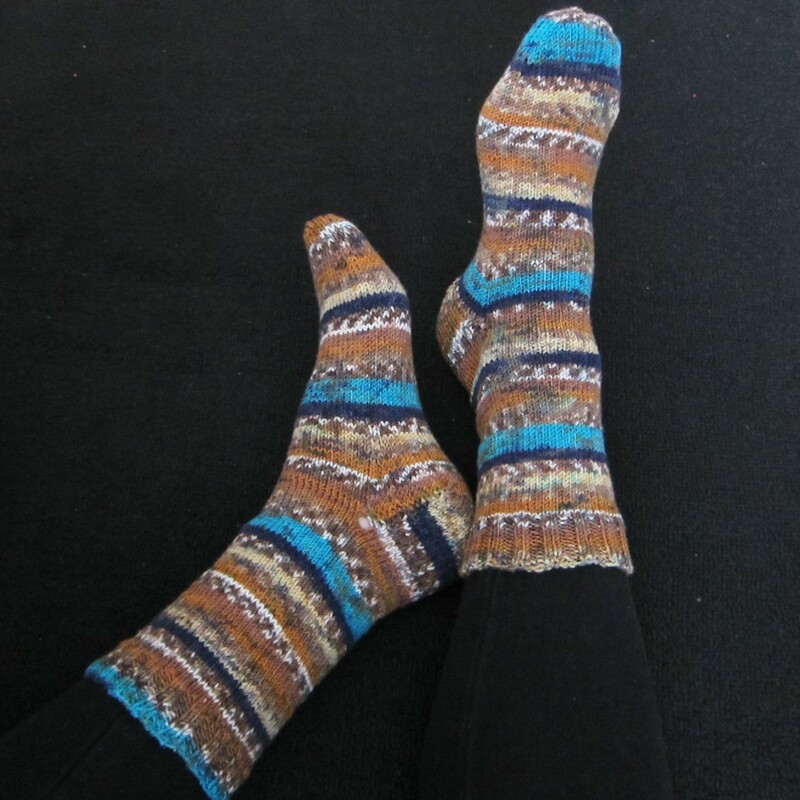 The yarn I used is Premier Wool Free sock yarn in Grand Canyon, a beautiful mix of rich blues and earthy tones. The yarn is acrylic and it’s the easiest yarn I’ve used so far. It has a lot of twist to it so it doesn’t split easily and has a bit of stretch that I think will add integrity to the socks. The pattern I used is from the book Socktopus (by Alice Yu), which I’ll likely be renewing a few times before finally returning to the library. I had enough yarn left over that I think I can make a pair of ankle socks. I plan to order a few more skeins of this self patterning yarn in different colors before tackling some more complicated sock patterns in solid yarns.